The Internet is a wonderful technology that changed every aspect of our lives. It also opened the way for other electronic devices like smartphones and tablets to take advantage of its many benefits. However, the computer which is the most preferred device to access the Internet. As a matter of fact, computers are very dependent on the Internet and to fully realize their potential – they need to always be ONLINE! Now imagine if all your kids can freely access your home computer, and they have all the freedom to go online. Would you be worried if your kids are being naughty online? A recent study shows that almost 86% of children can go to social networking sites without their parent’s consent. You should also understand that these social networking sites are haven for online predators and paedophiles. These social offenders are always on the lookout for children and they masked themselves under the anonymity of the Internet. 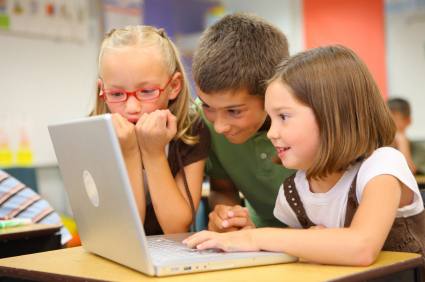 Therefore, your kids are always at risk of encountering these shady individuals every time they go online, and there’s a strong possibility that they may be victimized by these people.If you’re a concerned parent, then you might be wondering how you can monitor the activities of your kids every time they use the computer. Actually, you are not alone, because there are thousands of parents out there who are also looking for a viable solution. In reality, there’s already a solution to this particular problem and it’s called AceSpy. For starters, AceSpy is a computer monitoring software that is specifically developed for parents who want to know the TRUTH about their kids. Using this software, you can monitor the sites that your children are actively visiting. You will know if there are inappropriate sites or other places on the web that might be detrimental to the welfare of your kids. Another great feature of this spy software is its ability to track the exact chat conversations that happened on the computer you are monitoring. This will give you an idea of what topics your children and their friends are talking about online. How To Use AceSpy Monitoring Software? AceSpy is not a free software – you need to purchase it first, in order to use its features. However, this is just a small investment considering the many benefits it can provide. So, after you purchase the application, you will receive an email receipt including the link where you can download the software. You need to download and install the software directly to the computer you want to monitor. When it’s fully installed in the computer, it will now silently track and monitor all the activities on that particular computer. All collected data will be sent to your email or you can manually go to the target computer and by using a secret binding key, you can access the interface of AceSpy. Will the User Know If There’s a Monitoring Software on the Computer? There’s a reason why AceSpy is called a spy software – It’s 100% on stealth mode and totally undetectable. The user won’t even know that it’s already on the operating system of the computer. It will not leave any distinguishing marks on programs or windows on a particular computer. Therefore, the computer users will just do their normal activities without knowing that AceSpy is already monitoring their every move. This software will give you an idea if your children are really misbehaving on the Internet. Is AceSpy Really Worth Buying? If you really love your children, then you will need AceSpy. In fact, this software is the most significant tool that will help you discover the TRUTH. Although, AceSpy is not really that expensive, because it will only cost you $59.97 and that’s already a lifetime license. In short, AceSpy is not only worth buying but it’s also an essential parental monitoring tool.